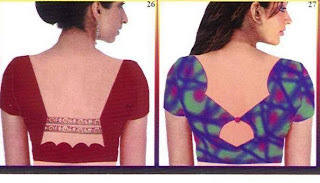 Saree Blouse Designs - Even More IdeasThe search for the perfect sari blouse designs seems to be a never ending for lovers of saree. I have uploaded some more trendy, innovative and attractive designer blouse collections. Please Click on the photosto enlarge.